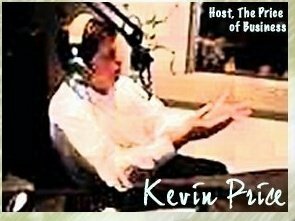 Kevin Price Central | The official personal website of Kevin Price; columnist, media personality, editor, publisher, professional speaker, and award winning author. If you would like to contact Kevin Price to have him speak to your organization, advertise, or if you want to learn how to be more involved with his media, visit here. For an extensive biography, visit here. The best places to find Kevin Price are here. For the latest news and information about him, see below. New Rich, as coined by Tim Ferriss in his pivotal book The Four Hour Work Week, is a way of life in which people bend the rules of business and economy and achieve huge levels of economic freedom, even before they get rich. In fact, one can achieve this lifestyle without getting rich. It includes the development of businesses that do virtually all the work for individuals. Kevin Price, Publisher and Editor in Chief of US Daily Review, has long been an advocate of New Rich approaches to better and more profitable living. Recently, USDR took a look at his forthcoming book on why such literature has not worked for many of those who have read such books and how his book is different. His book points out the real reason “Rags to Riches” is not so easy. Before we discuss Kevin Price’s new book, one should first look at the expression, “New Rich”. The expression was coined by Tim Ferriss, the author of the bestselling book The Four Hour Work Week. Over a million copies have been sold since its release in 2007. It has received both enormous praise and tremendous scorn. Ferriss says, “The New Rich (NR) are those who abandon the deferred-life plan and create luxury lifestyles in the present using the currency of the New Rich: time and mobility.” The objective is to create a lifestyle that empowers people to enjoy maximum freedom as well as a high income. The first thing you learn about Kevin Price is that he is a strong supporter of “New Rich” books. He has read most of the major ones and is friends with some of the icons of the New Rich movement. including Robert Kiyosaki, author of Rich Dad Poor Dad. “I am a huge believer in the value of these books,” says Price. “New Rich books work. I know from my own personal experience.” However, Price says they only work in proportion to the effort of the person who reads them. He says, “I read Rich Dad Poor Dad shortly after it came out in 1997, and I was hooked. I had the author on my show many times, and read Kiyosaki’s other books as quickly as they came out. I was particularly impressed with Cashflow Quadrant, one of my favorites in the New Rich space.” At the time, Price did not do anything to seriously implement Kiyosaki’s advice. He agreed with and believed in it, but he did not seriously apply it. In 2007, Tim Ferriss published his “pivotal” book, The Four Hour Work Week. Price says that the book dramatically changed his thinking on the New Rich model. He knew instantly that the New Rich lifestyle was completely doable. In spite of this knowledge, Kevin still did not seriously pursue it. More announcements about the book are coming soon. If you want more information about the book, email producer@usabusinessradio.com. We are proud to announce the launching of www.USABusinessRadio.com. It is a strategic partner of www.USDailyReview.com and www.PriceofBusiness.com. Actually the name has existed for several years, and has been a landing page and generic info page about our various media partners. Going forward, however, USA Business Radio is going to be a true news site covering business, money, lifestyle, technology, and much more. 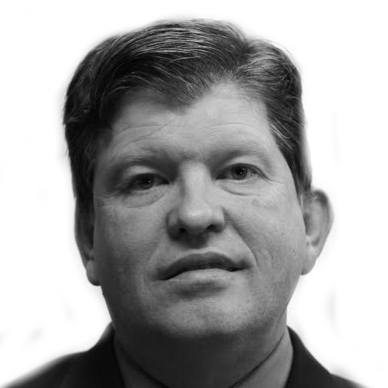 Kevin Price will be the Publisher and Editor in Chief of USA Business Radio. The Price of Business Radio Show (Business Talk 1110 KTEK) in Houston, was the media sponsor of the Best and Brightest Places to Work event for Houston, Texas. As a result, Kevin attended the luncheon and, while there, was an award presenter. Find out more about that organization here.